In 2013 around about May/June The Lord revealed a lot to me regarding the time The Lord delivered the Israelites from Egypt and into the wilderness. Looking back at what He revealed to me has just convicted my heart again especially the revelation that I got from Deuteronomy 2. I wish I could share all the others but there are just far too many, and so I am just going to share on this one. Sometimes God will test your faith by causing you to wander in the wilderness. Why would God test your faith by causing you wander in the wilderness? For His glory. For you to be broken, moulded, and made into His very image. For you to be matured in His Word. For you to understand whom exactly you are serving, for you to remember that He is an awesome God, for you to realise that He will never leave nor forsake you. What you see in the wilderness, the challenges that you face, is likely to cause your faith to struggle. Sometimes you may feel as if you are alone, you may feel as though God is far from you. If you fail to look beyond your circumstances your challenges will appear much bigger than they really are. You cannot rely on your strength alone to pass through the wilderness, because you won’t get very far. You’ll become weak, afraid, dehydrated. but that’s not the intention of God. That is not what He has planned for you, He wants you to move forward. God does not want to see you stay at the same place, neither does He enjoy seeing you stay at the same place, but you see it all starts with you. It all starts with the choices you make, it all starts with your mindset. A positive mindset keeps you going, it keeps you moving forward. Of course it’s not always easy to have faith when all you can see around you is emptiness, and familiarity but that is why anytime the enemy plants the seed of doubt into your mind you must rebuke it. You must develop your faith through prayer and constant meditation of The Word. There is no greater weapon than The Word of God. You must remember that you are never alone God is forever by your side. Seasons vary, hot, cold, dry, wet, every season is different, and every season changes. The season will surely pass, you will not stay in the wilderness forever. There will come a time when The Lord will show you the way and lead you through your path. You have wandered through the wilderness long enough, it’s time to move forward. Remember that whatever season you are passing through The Lord shall surely see you through. Don’t look at the wilderness season as a difficult one. In this season it’s a perfect opportunity for you to find who you are in Christ, the calling that He has for your life, where He wants you to go, He wants you to draw closer to him, the right friendships/relationships that He wants you to have. The job that you are looking for is not far from you, but you must look to God first, the husband that you long for is not far from you but you must seek The Lord as your first love first. I thank God for the wilderness season. If it hadn’t been for this season I wouldn’t of discovered who I am in Christ, I wouldn’t of overcome the flesh. If it hadn’t been for this wilderness season I wouldn’t of heard God speaking to me. If it hadn’t been for this wilderness season I wouldn’t of overcome the spirit of fear. He has pruned me, and He has made me brave. He has matured and revealed so much to me in the secret place, in the wilderness. Just me and Him. The Lord knows your very heart’s desire, but you must first seek His kingdom and His righteousness and He will draw you closer and closer to your promised land. In the wilderness you must develop patience, you must learn to wait on The Lord, you must understand that you can not do it all on your own. It takes patience, it takes a tenacious spirit to wait on The Lord. When God speaks He does not speak according to our time. He does not wait on us we wait on Him. So if you really desire to hear The Lord speak then be prepared to wait. We can not rush God, His time is the best, and when He speaks, oh my! 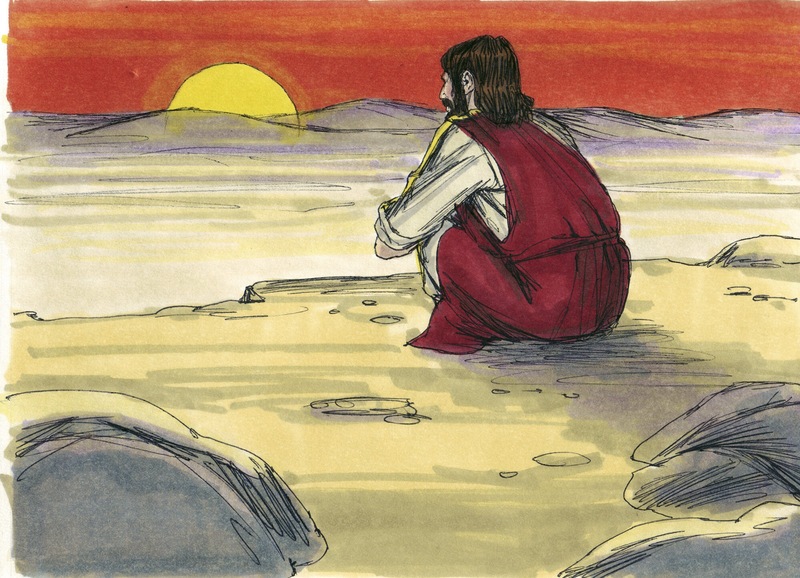 How long did Moses spend speaking with God on the mountain? Forty days and forty nights. How long did Jesus spend speaking with His Father? Forty days and forty nights. Be prepared to sacrifice your time, deny your flesh, and wait on His voice for His revelations are amazing! He speaks a lot in the wilderness. You must understand that The Lord wants you to lift your burdens unto him. Allow The Lord to have His way, allow The Lord to see you through every situation. He delivered the Israelites from Egypt. He promised to take the Israelites to a land flowing with milk and honey. The Israelites delayed the promises of God through disobedience. The Israelites delayed the promises of God because they dishonoured Him through their worship. They complained when they should have been communing with Him. The Israelites delayed the promises of God because they doubted Him, and because of all this the Israelites ended up in the middle of nowhere. The Israelites ended up in a place of defeat, they ended up in a hopeless case, they ended up in an empty place, they ended up in the wilderness, and when they ended up in the wilderness they assumed God had abandoned them, but little did they know that Even in The Midst of The Wilderness glory to God! The Lord Almighty Himself Was Always There. He never leaves nor forsakes us, but the question is will we trust Him even in the wilderness? Will we hold on to His Word? Or will we turn our backs on Him just because we are in a dry season? God never turns His back on His children He delivered the Israelites from Egypt but they turned their backs on Him. Even when they turned their backs on Him they delayed His promise and ended up in the wilderness, but He kept His promise and took them to the promised land. But even in the promised land they turned their backs on Him, and the Israelites ended up in Babylon. This is so amazing because The Lord took me back to this scripture today. The Israelites were in a strange land they could no longer sing the Lord’s song they could no longer freely worship God, they were cut off from His presence that’s the worst thing that can happen to any believer. This has been happening since the beginning of time. Adam and Eve were cut off from God’s presence because of their disobedience and they ended up in the wilderness, in a strange land. You and I were like Adam and Eve. We were driven out of the presence of God because of our sin, and condemned to eternal damnation. Today’s world is a strange land. How can we sing the Lord’s song in a strange land? How can we worship Him in a strange land? Because He paid the ultimate and the final price. He sent His only begotten Son to die for you and I so that we might live. That is why it is impossible to inherit the Kingdom of God if we do not accept Jesus Christ as our Lord and personal Saviour. Because we cannot get to The Father without first going through His Son Jesus. It is impossible to be in His presence without first accepting Jesus. He delivered us from evil once and for all! We really ought to thank God for Grace if it wasn’t for Grace we would just be a hopeless case, we would just be in an empty place. I’m just a stranger here,travelling through this barren land. Lord I know there’s a building somewhere. Through His Son He has restored the joy of salvation now even in the midst of the wilderness, even in this strange land, even in the great unknown where feet may fail we can worship Him freely in Spirit and in Truth. We thank God for His love, His compassion, His deliverance, and His grace. We thank God for healing and delivering this lost and barren land. We thank God for restoring the joy of salvation. We thank God for His faithfulness and loving kindness even in the midst of wilderness. Lord save this lost, destitute and desolate Land. In The Mighty Name of Jesus I have prayed. Remember that this is the season of believing God no matter what. Believing Him in the good, the bad, and even in the wilderness. Reblogged this on The Catwalk of Faith.